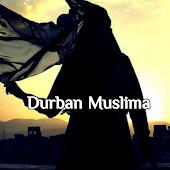 Durban Muslima: Allah creates every incident for the best! What are the reasons that prevent us from seeing the good in things? Some people think that most of their lives develop as a result of coincidences in a flow. But this mistaken evaluation is a grave misconception. Everything from big incidents like having cancer or losing a close one in a traffic accident, to the food he eats or the clothes he wears are special events preordained in that person’s destiny. Allah creates all these incidents down to the finest detail for that person’s trial. A person is subject to a continuous trial throughout his life; nothing happens by coincidence. If a person cannot grasp this fact and thinks that events take place independent of Allah, then he is greatly mistaken. This is because all things that happen through the course of life are a test Allah created especially for this person, and this person is held responsible for his reactions and behaviors. His behaviors and morals will determine his condition in the hereafter. The knowledge that everything great and small could not happen by coincidence and all of them are incidents Allah has created in that person’s destiny is one of the most important truths that he should always keep in mind. As long as a person do not forget this truth, he would never forget that everything he faces is good for him because everything happens by Allah’s leave. In this case people should first bear in mind that the life of this world is a place of trial in order to “see the best” in everything. Every difficult trial, diseases, accidents, financial and spiritual troubles a person may face in the life of this world are trials within the boundaries that he can handle. However, if a person chooses rebellion and thanklessness suggested by satan instead of good morals and patience, then this is his own choice and he will be held responsible for his attitude. From time to time, a person may think that he has no way out, everything is over or that this is a difficulty he cannot overcome. He may display a rebellious attitude by forgetting that there may be a goodness in that incident. But all of these are actually empty illusions given by satan. A sincere believer should know this truth; no matter what he lives through, this is something he can use to show good morals and patience. Despair is a suggestion given by satan. A believer should never fall into despair, as Allah commands us, and should deeply think about every situation he faces. People make many plans for their future, the next day or an hour from now throughout their lives. 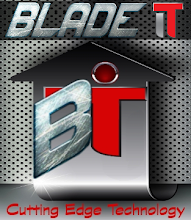 These plans are sometimes realized according to plan, but sometimes they are hindered due to unexpected developments. People who are astray from the moral values of religion think that these disruptions happen by coincidence. A person may think that he lives what he plans, but actually he only lives the destiny Allah creates for him. Therefore, even if a person thinks that he can change his destiny by doing something, he actually thinks that because this is also in his destiny. Not even a single moment is outside destiny. A person in coma dies because it is in his destiny and a person who wakes up from a coma months later is also saved because it is in his destiny. A person who could not understand faith completely would think that all incidents are a result of random developments and coincidences. Such a person believes that everything in the universe exists unattended. When something bad happens to him because of that, he would name such things with meaningless words like “luck”. It is revealed to us in the Qur’an that satan is thankless and rebellious. We understand from the verses that he will approach people from the right, left, front and back and try everything to divert people from the true path. One of the most important methods satan uses to reach this evil goal is the prevent people from seeing the best in everything that happens, and thus make them rebellious and unthankful towards Allah. People who do not comprehend the beauty of the Qur’an’s moral values, who live away from religious morality and spend their lives in empty and meaningless pursuits fall into this trap of satan. Satan tries whisper suggestions into people’s hearts by finding their sensitive areas; he tries to call them to rebel against Allah and the destiny He has determined. For example, when someone’s neighbor has a traffic accident, he can easily remind one that this incident is in destiny and explain the good things about this incident. And he can even calm them by saying, “The important thing is you are saved; Allah protected you”. But some people cannot act the same when his family or he goes through the same events. They can fall into satan’s trap and see rebellion as much easier, because it is a matter of consciousness to try and see the best in things, submit to Allah and be patient. If the person does not use his consciousness enough, he would always display the wrong behaviors under such circumstances. In short, as we have emphasized with examples throughout this article, satan approaches people in two ways to prevent the good. The first is that he does everything he can to prevent good deeds and tries to guide people to cling to the life of this world. The second is that he tries to prevent people from seeing the good and wisdom behind incidents. Especially when there is a calamity, he tries to make it appear as “evil” (Allah is beyond that) and tries to divert people into rebelling against Allah.